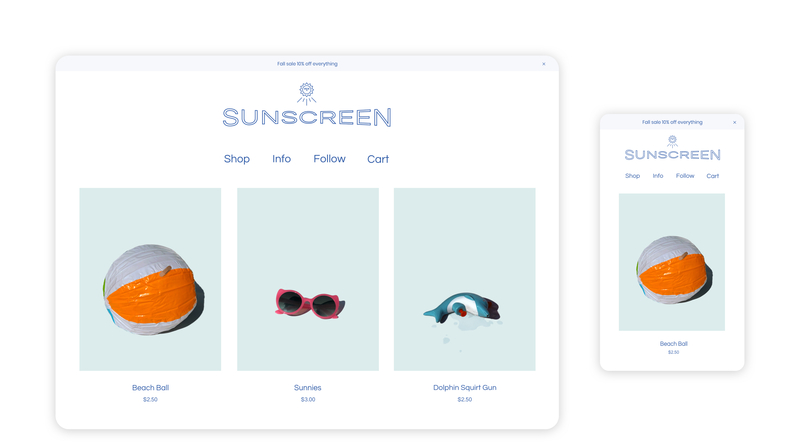 Sunscreen shines with easy navigation and flexible ways of showcasing products. You can add a lookbook or gallery to a page by creating a Custom Page, giving it a title, and then entering that title into the Lookbook Page Name field. Then simply add your images to the Lookbook Images section. Check out a quick walk-through of that here.